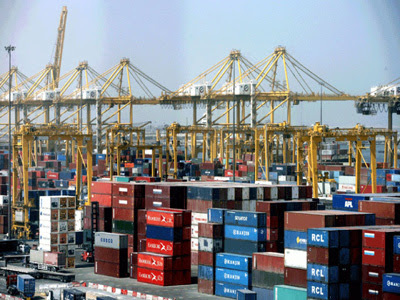 The workers, under Maritime Workers Union of Nigeria, said the Nigerian Ports Authority, Nigerian Shippers’ Council and Nigerian Maritime Administration and Safety Agency (NIMASA) should carry them along in decision making. The President-General of the union, Mr Tony Nted, made the appeal in an interview with the News Agency of Nigeria (NAN) in Lagos. Nted said there had been disconnect between the union and the regulatory agencies because they were not being carried along in stakeholders meetings where industry issues were discussed. He expressed concern that the union was a major stakeholder by reason of its role in the various sub-sectors of the industry, but was being left behind at moments when it should be heard. “Sometimes, we are very apprehensive of what is happening in the maritime industry because these stakeholders will organise meetings and not involve the union. “Nigerian Ports Authority organises meetings, they will not involve the union; NIMASA will have meetings they will not involve the union and the Shippers’ Council too. “Is the union too strong for them to invite for such meetings or because is it because the union always tells the truth and is dogged? “We cannot understand why this is so because talk about the industry, we are the major stakeholders and we have responsibility to Nigerians as we are today,’’ Nted said. He said the union had workable ideas to bring to the discussion table that could serve as required solutions to many industry issues. “They should always invite us in all of their meetings, we have ideas we will bring to the table. “Maybe if they invite us to some of these their meetings, and with the ideas we bring to the table, most of what is happening today may not happen,’’ he said. The union’s president said that like in all areas of life, a sense of belonging would only be felt when given opportunity to sit at the discussion table where the issues concern you.